According to the National Institute on Aging, an estimated 5.1 million Americans suffer from Alzheimer’s Disease. Symptoms typically develop in people over 60 and can interfere with daily life dramatically as the disease progresses. 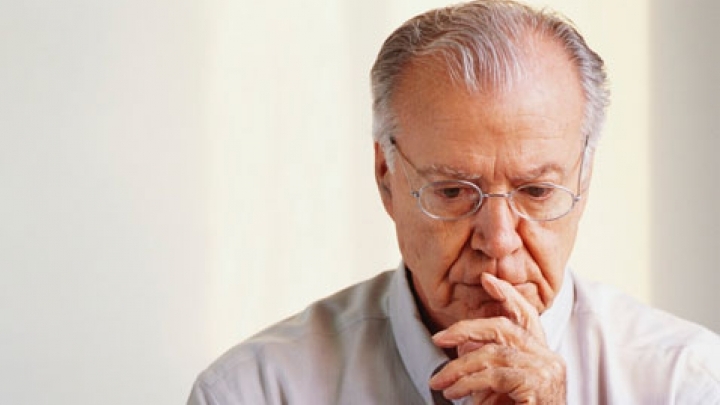 Alzheimer’s Disease is a progressive disease that causes certain types of memory loss and loss of daily life function. There are no known cures, but treatments are available to slow the progression and help manage the symptoms. Symptoms progress through three main stages: an early stage with little or no symptoms, a middle stage with mild cognitive impairment, and a late stage of Alzheimer’s dementia. The early stage of the disease has no symptoms. Changes in brain function may be happening, but the changes are not severe enough to cause any noticeable differences. When symptoms begin to appear, they are typically mild memory problems and mild changes in thinking ability. The middle stage of is further divided into mild and moderate Alzheimer’s Disease. When the disorder is classified as mild, memory problems become more severe and thinking problems increase. People in the mild stage of the disease may experience mood changes, getting lost, trouble handling money, losing things, and personality changes. As the disease progresses, people suffering from moderate Alzheimer’s Disease will have increased memory loss, trouble learning new things, and trouble recognizing friends and family. The moderate stage of the disease may also include symptoms like confusion, difficulty with new situations or experiences, hallucinations, and delusions. Hallucinations are when a person sees or hears something that is not actually there. Delusions are ideas and beliefs that are not grounded in reality. The symptoms of severe Alzheimer’s Disease interfere with a person’s ability to function, and people at this stage of the disease need close care giving. People in severe stages of the disease often are unable to speak, lose weight, lose control of their bladder and bowels, and may experience seizures. Skin infections and increased sleeping are also common for people in the severe stages of Alzheimer’s Disease. The causes of Alzheimer’s Disease are not fully understood. There is some evidence that genetic risk-factors are important, but genes alone cannot explain why some people develop Alzheimer’s and some do not. Some other conditions, like obesity, stroke, diabetes, and high blood pressure, have also been linked to Alzheimer’s Disease. Neither the genetics nor health history of person alone can determine who develops Alzheimer’s Disease. The symptoms are caused by changes in brain function, and certain types of damage are seen in the brains of people with Alzheimer’s Disease. The brains of people with Alzheimer’s Disease have plaque deposits, known as amyloid plagues, and tangled masses, known as neurofibrillary tangles. The plaques and tangles interfere with the brain’s ability to send information between neurons and between regions of the brain. The interruptions result in the symptoms of Alzheimer’s. It is thought that as the plaques and tangles increase over time, the symptoms of Alzheimer’s Disease become more severe. The only way to be certain a person’s symptoms are related to Alzheimer’s Disease is to examine the brain after a person’s death. However, doctors and researchers have found way to understand the specific symptoms that help to diagnose probable Alzheimer’s Disease when early symptoms appear. Most often, Alzheimer’s Disease is diagnosed during the mild stage of the disease. To diagnose, doctors ask questions about medical history and changes in functioning. They may perform memory tests and problem-solving tests. Brain scans, like computed tomography (CT) and magnetic resonance imaging (MRI), may be used to determine if the symptoms are Alzheimer’s Disease or another form of dementia. Primary care doctors may refer a person a specialist for additional tests to determine if the symptoms the person is experiencing are likely to be Alzheimer’s Disease. Specialists, such as geriatricians, neurologists, and neuropsychologists, often help with a diagnosis. Early diagnosis is important for Alzheimer’s Disease because effective treatments can improve symptoms , but there are currently no treatments that can reverse the damage to the brain caused by Alzheimer’s Disease. Medications called acetylcholinesterase inhibitors, such as Aricept, are currently approved to treat mild to moderate Alzheimer’s Disease. These drugs increase the neurotransmitter acetylcholine, which is important for learning and memory. Another type of drug, Namenda, is approved for moderate to severe Alzheimer’s Disease and acts on glutamate, which is also a neurotransmitter important for learning and memory. Both types of drugs can improve memory and thinking ability for some patients. In addition to medications, some people seek treatment from a psychologist or occupational therapist help manage behavioral symptoms and increase quality of life. The National Institute on Aging, a part of the National Institutes of Health, funds many scientists and researchers as they study new treatments to slow the progression of Alzheimer’s Disease and manage the symptoms. Healthy lifestyle factors, like healthy diet and exercise, may help to increase the age at which symptoms appear. New research shows that people who stay mentally active are more likely to have a later age of symptom onset and may be more likely to have a slower progression of the disease. Research is ongoing to understand how lifestyle factors may improve outcomes for people with Alzheimer's Disease.